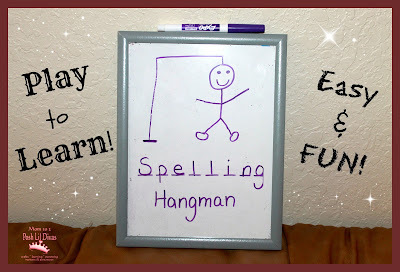 If you've seen my 75+ Ways to Practice Spelling post you know I'm always thinking of ways to keep learning those required spelling lists fun for the Lil Divas. 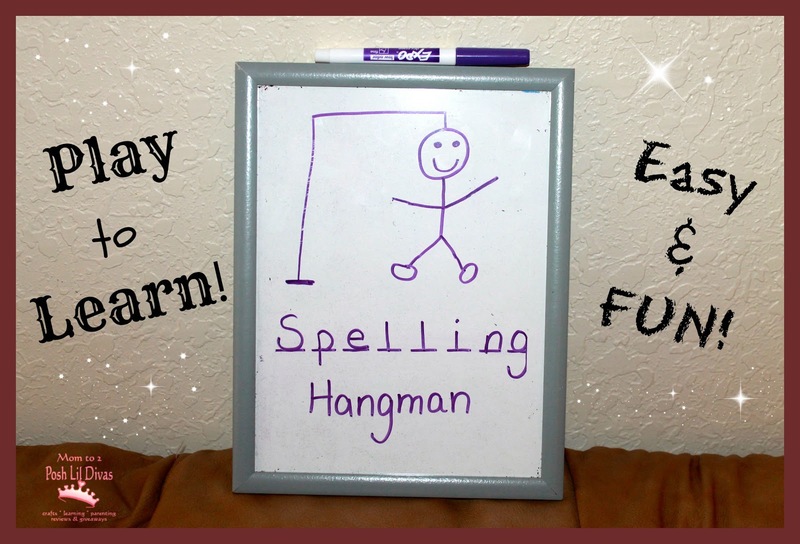 Today, I'm sharing a quick and fun game that requires almost no prep and is perfect for practicing spelling - Hangman! Do you remember playing it (time and time again) as a kid? I sure do! Well, it's just as appealing as ever and the Lil Divas love it as much as I did when I was their age. 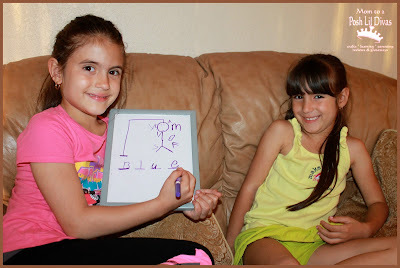 A dry erase board, a marker (or a pen/pencil and paper) and a few minutes are all you need to play. Pick a word off the spelling list and prep your hangman as usual. The Oldest Diva is able to help/quiz her little sister with her weekly spelling lists - she loves it. It makes her feel good to be able to help with homework. You can make it as easy or as hard as you like. 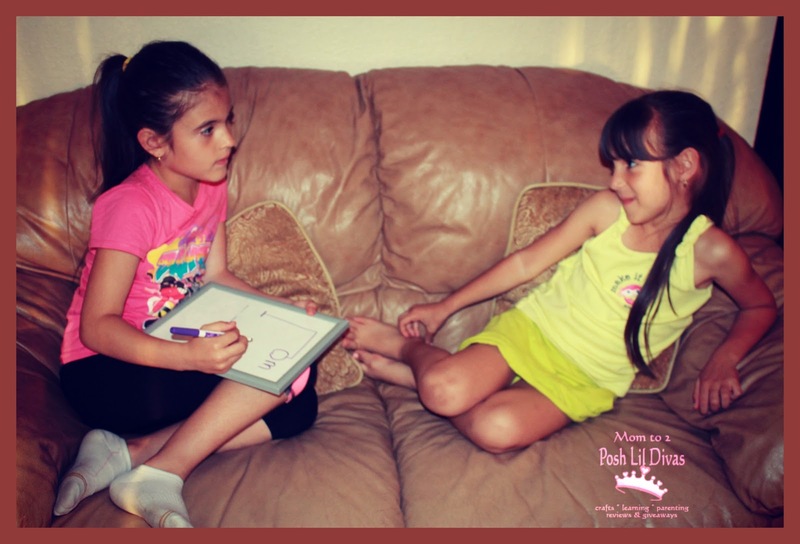 The Oldest Diva gives her little sister many chances to figure out the target word - she usually adds features, hair, hands & feet and more to her figures if necessary. It actually keeps things positive and the Littlest Diva really enjoys playing because she isn't easily met with defeat. 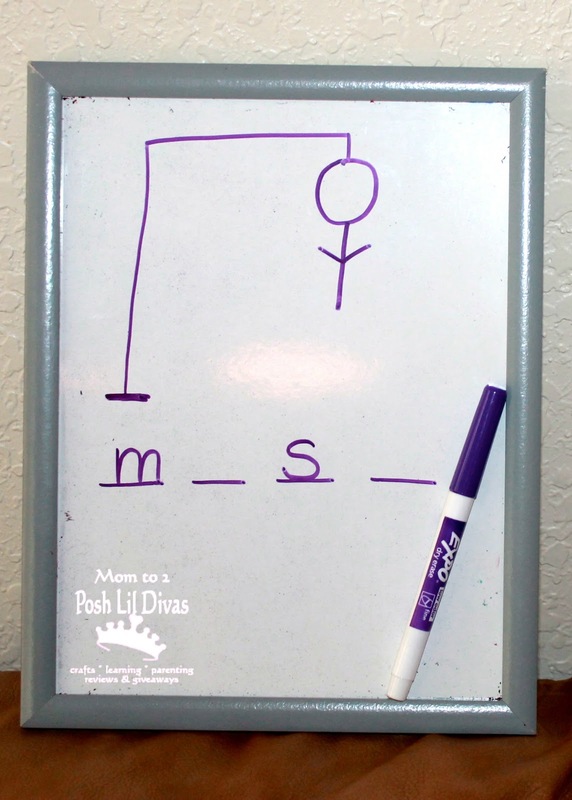 Do your children and/or students enjoy playing hangman? Have you used it to practice spelling? Remember, there's no better way to learn than through play? Have fun playing to learn! We have done this with foreign words and it works well there, too! 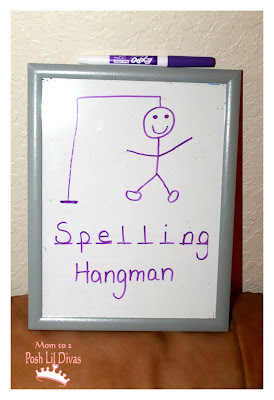 This is a way I used to practice my spelling words when I was in school. I still use it for my boys. Thank you for sharing. I had forgotten about this game. It was so much fun to do with friends on a summer day, This was long before the advent of PS's in every home. In larger groups you could create teams and make the game a real competition. 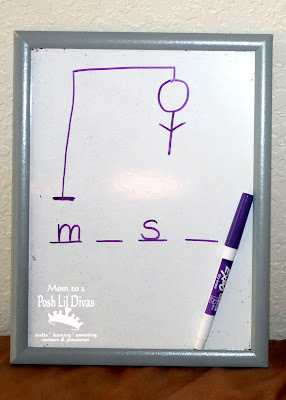 My son just loves hangman but we only play it while waiting for food at a restaurant. Sometimes he spells the word incorrectly and then it's so tough for me to guess.